Mrs. Nancy J. Riffle, 81, of Thurmont, MD passed away suddenly at Frederick Memorial Hospital on Tuesday, October 30, 2018. She is survived by her husband of 59 years, William R. Riffle. Born on May 12, 1937, in Gettysburg, PA, she was the daughter of the late Milton P. Carback and Margaret P. Creeger Carback. She graduated from Thurmont High School in 1955. She was a homemaker and enjoyed cooking and baking, and shared much of her food with those in the community. Nancy was a member of various bridge clubs in Thurmont throughout the years and she also loved working her daily Sudoku puzzles. She enjoyed her bi-weekly senior workout sessions with a close group of friends which she hosted in her basement gym. 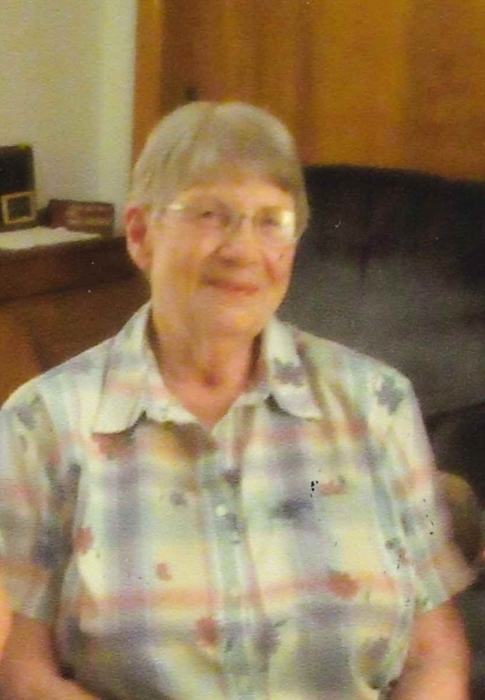 Nancy was a member of St. John Lutheran Church in Thurmont, where she was very active and served in many capacities. In addition to her husband, she is survived by daughters, Lisa A. Riffle of Thurmont and Julie M. Riffle of Baltimore; son, James E. Riffle of Smithsburg; one granddaughter, Jesse Grubb and husband, Keith, of Jane Lew, WV; and one great-granddaughter, Hannah Grubb, whom she adored. She was preceded in death by one sister, Barbara L. Burkhardt. The family will receive friends from 2 to 4 p.m. and 7 to 9 p.m. Friday, November 9, 2018 at Stauffer Funeral Home, 104 East Main Street in Thurmont. A celebration of Nancy's life journey will take place at 11 a.m. Saturday, November 10th at St. John Lutheran Church, 15 North Church Street in Thurmont. Pastor Matthew Beers will officiate. Private interment will be at Blue Ridge Cemetery in Thurmont. She will be greatly missed by all those whose lives she touched in so many ways. In lieu of flowers, memorial contributions can be made to St. John Lutheran Church, 15 N. Church Street, Thurmont, MD 21788.